A team of Archaeologists is currently working on the Arastu Tepe in order to find signs of the Kura-Aras culture in the mound located near the town of Malard in the southwest of Tehran. Signs of the Kura-Aras culture were previously discovered during a series of initial excavations done by the team led by Akbar Purfaraj of Tehran’s Allameh Tabatabai University. They gathered a large number of shards scattered on the ground of the mound in the excavations, Tehran Cultural Heritage, Tourism and Handicrafts Department Director told the Persian service of the Mehr News Agency on Tuesday. Various motifs are seen on the shards, which are mostly red in color. This photo shows a number of shards discovered at the Yanik Tepe in northwestern Iran. (File photo by the British Institute at Ankara). Purfaraj said that this season of excavation runs until late September and the second term is expected to begin next year. The Kura-Aras culture includes a complex of civilizations, which is delimited by the Greater Caucasus from the north, Lesser Caucasus from the west and the Talysh Mountains from the south. Signs of the Kura-Aras culture were discovered at the Yanik Tepe, a multi-period site located northwest of Lake Urmia in Iran, which was extensively excavated by Charles Burney in 1960s. The earliest layers date back to the late 7th millennium BC. According to the concise Oxford Dictionary of Archaeology by Timothy Darvill, these represent some of the earliest permanent settlements in the region. Nine phases were represented, characterized by rectangular houses with plastered floors. The early Bronze Age phases, dating to the later 5th millennium BC, included closely packed circular dwellings equipped with benches and storage bins all set within a stone walled enclosure. 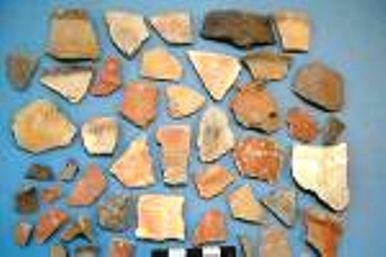 Exploration of the Iron Age levels included the initial discovery of painted triangle ware dating back to the second quarter of the 1st millennium BC.